A mysterious thief is stealing from the Lee family household and bakery and it’s up to little puppy Tako to catch the culprit. 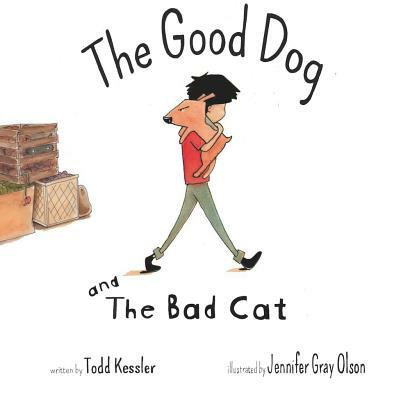 Tako succeeds in exposing Allie, a feisty cat, but when she gets thrown out of the house Tako begins to have second thoughts about the consequences of his actions. Tako may be the only one who can uncover the truth, but to do so he will have to fight the vicious river rats and learn there may be more to the mischievous cat than what meets the eye. Todd Kessler is the cocreator of the highly successful children's television series Blue's Clues. His artistic and innovative creations have garnered him the Peabody Award, seven Emmy nominations, two Television Critics Association awards, and five Parent's Choice awards. He is the author of The Good Dog. He lives in Los Angeles. Jennifer Gray Olson is an illustrator who enjoys creating funny and offbeat characters. She is the author and illustrator of Ninja Bunny and the illustrator of The Good Dog. She lives in Corona, California.